LORD, IT’S ALL ABOUT YOU! Although God is incredibly high and lofty, though He dwells in unapproachable light, He takes special interest in us His handiwork – finite, weak beings dwelling in vessels of clay. Through His love, we can rise above the limitations of our nature and share His glory. But it all begins with this kindling of affection in our hearts for Him when we realize how far He has stooped down to raise us up and how much He has paid to redeem us from the corruption of our sinful nature. Then our focus is no longer ourselves, but Him. And the more we gaze in wonder at the beauty of His holiness, the more we are transformed to reflect the same (2 Corinthians 3:18) and we can change lives and situations around us. 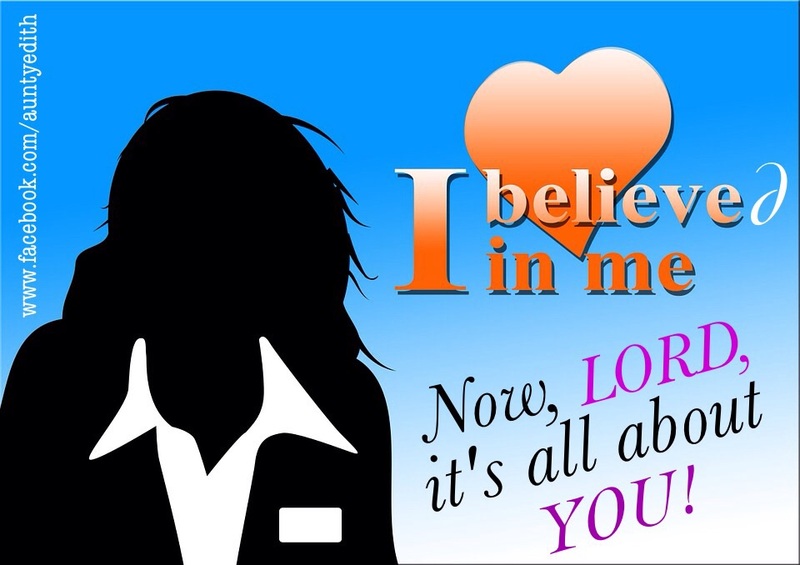 You, LORD, it’s all about You! Kindly share with me something from any song that has blessed your life. One of my favorite songs is "Tough" from Morgan Harper Nichols. It's a constant reminder that God is the one who makes me strong. I'm in love with Jesus by the New Direction which I'm always delighted playing makes me feel the company of His love in my life, this wonderful piece also stirs me into loving Him more and more.Thank you ma. Thank you too, Benjamin. You are blessed! Frank Edward's songs I listen to always remind me God's unconditional love for his children,I love u Jesus pls do not pass me by. God has done a lot for me... He has paid it all for me, all praise to him. happy sunday, ma! Its simply risky attempting to live without Christ. Christ controls it all aspects of our lives.